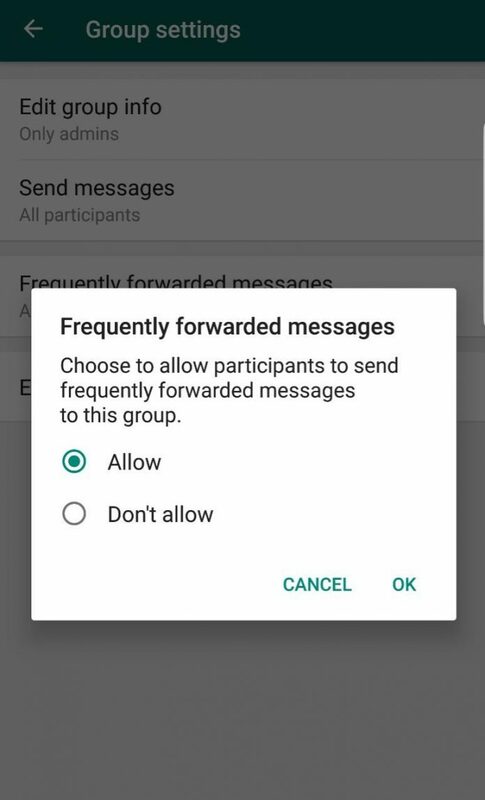 WhatsApp is testing a new feature that highlights messages as “frequently forwarded” if they have been shared five or more times. The new beta for Android is part of WhatsApp’s ongoing campaign to limit the spread of misinformation on the popular messaging app, having limited the number of times you can forward a message earlier this year. The new feature is currently limited to messages that you send, so you won’t see a “frequently forwarded” tag on messages you receive. Before sending a message, you’ll also be able to see the exact number of times it has been forwarded previously by going to the ‘Message Info’ section.